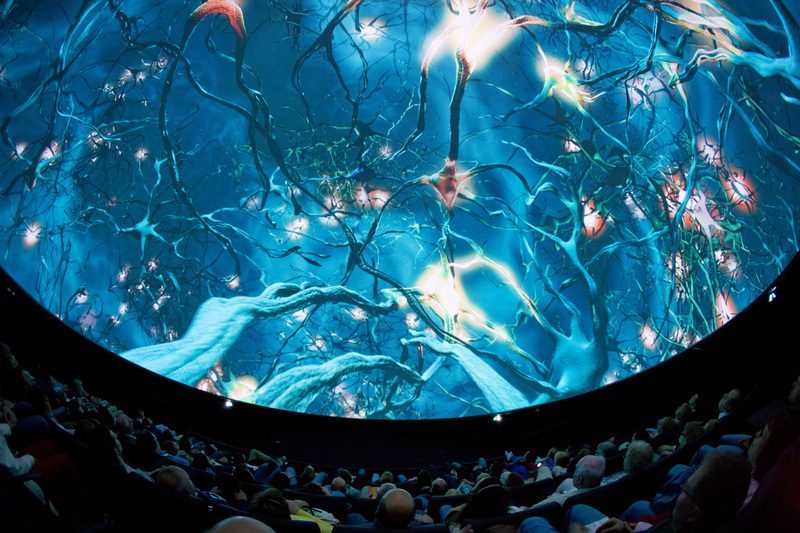 8k Fulldome Theater: The dome theatre at the Visualization Center provides a unique experience to our visitors. 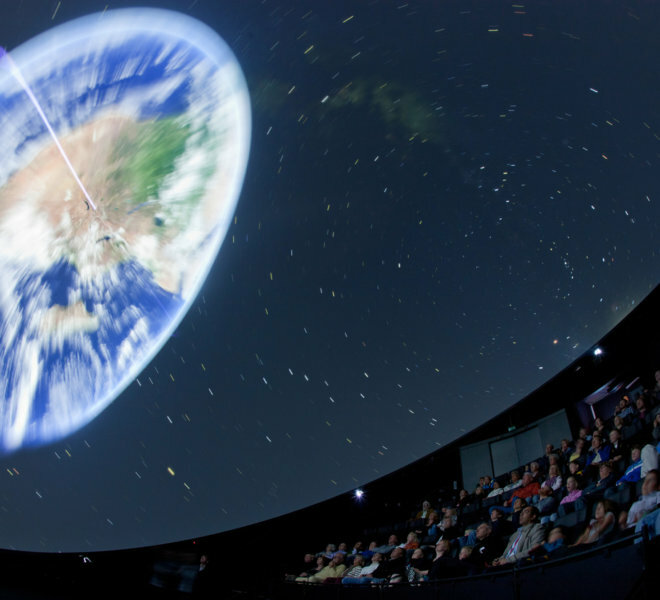 Using the 15 metre spherical screen, six stereo-capable 4k projectors and a 7.2 sound system the dome allows the visitors to travel to places they could otherwise not go to and see things that would otherwise be invisible to them. 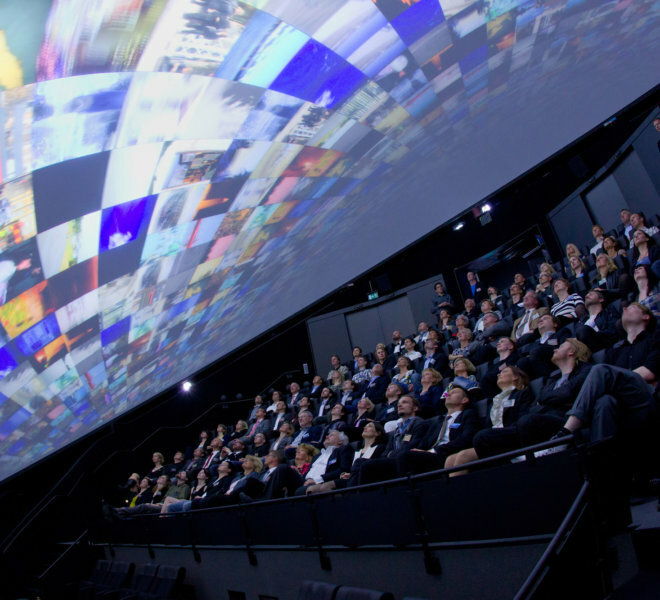 The dome is used for pre-rendered fulldome film screenings, presentations using realtime software as well as artistic experiments and live performances. 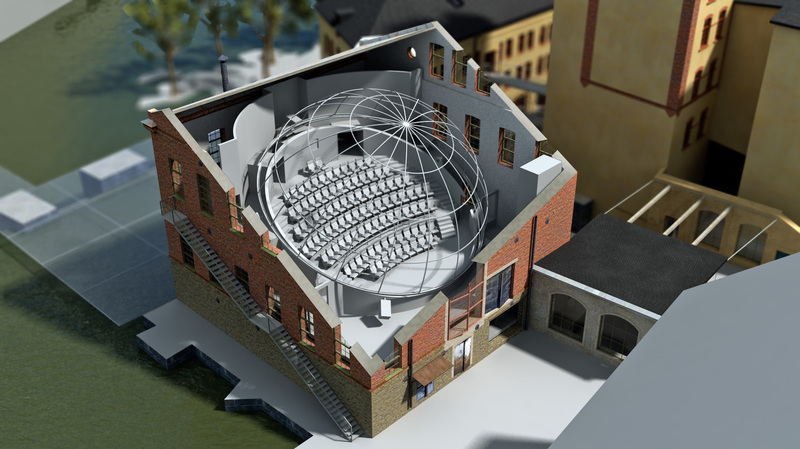 The theatre is currently operating with a 5K resolution but will be upgraded to 8K in January 2019, creating an even more impressive impact in terms of image quality. 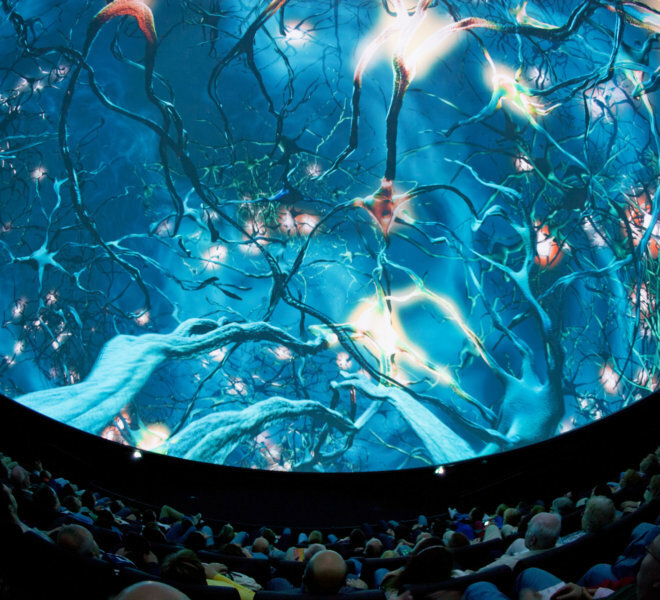 The technology of the dome after the upgrade will be state-of-the-art with an 8k resolution, laser-based projection technologies, spatial sound system (3D sound), active stereo with a 120 Hz framerate. 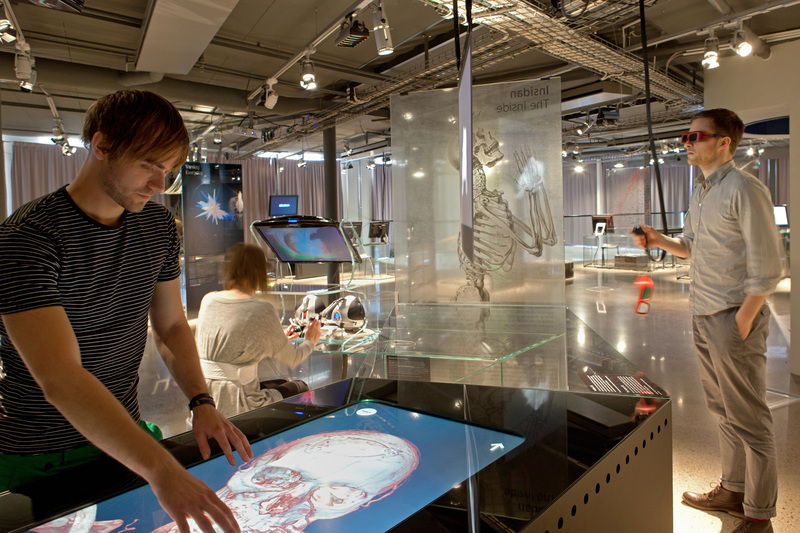 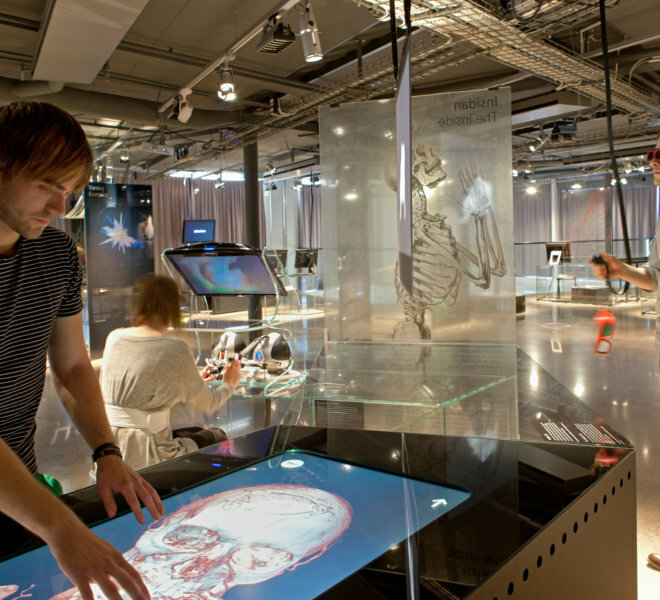 VR-arena: The VR-arena at the Visualization Center is an immersive environment used for interactive presentations and prototyping. 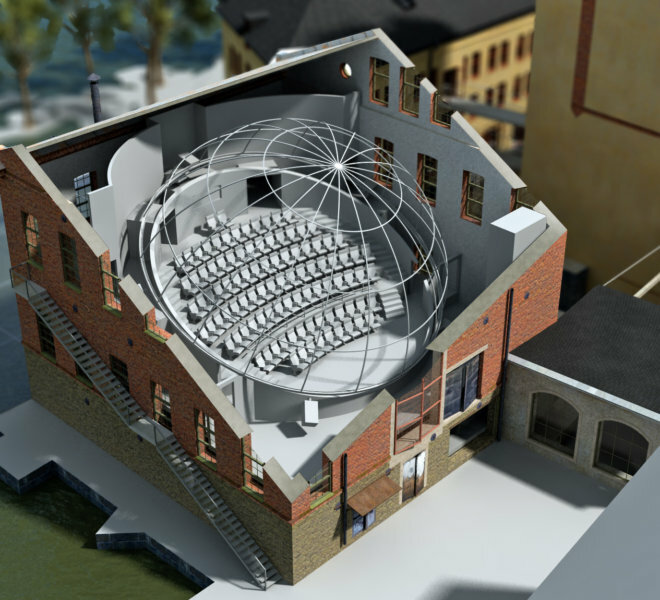 The theatre has 25 seats, a 5.1 audio system and a flat 7 x 2 meter back projected screen with three stereo capable (120Hz) projectors and a total resolution of 3640×1050 pixels. 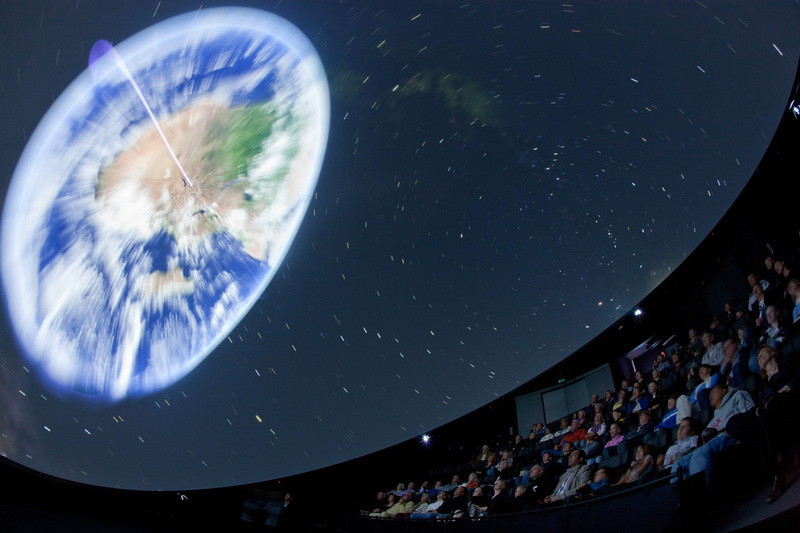 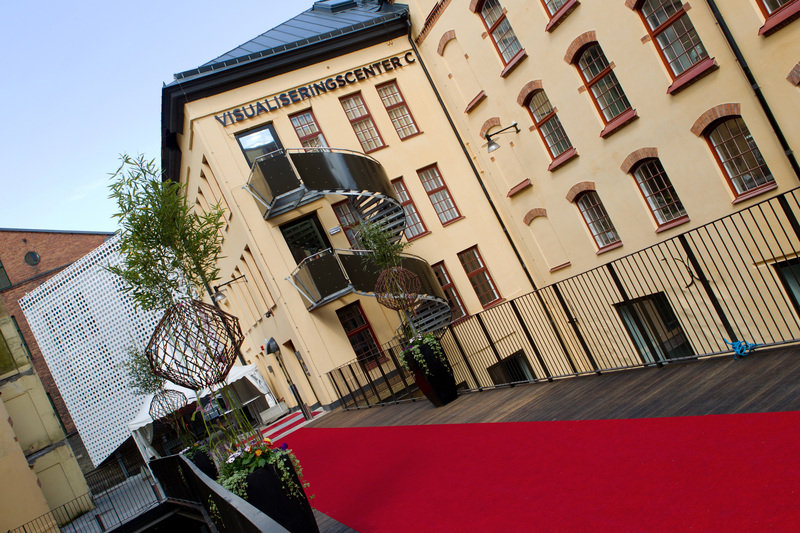 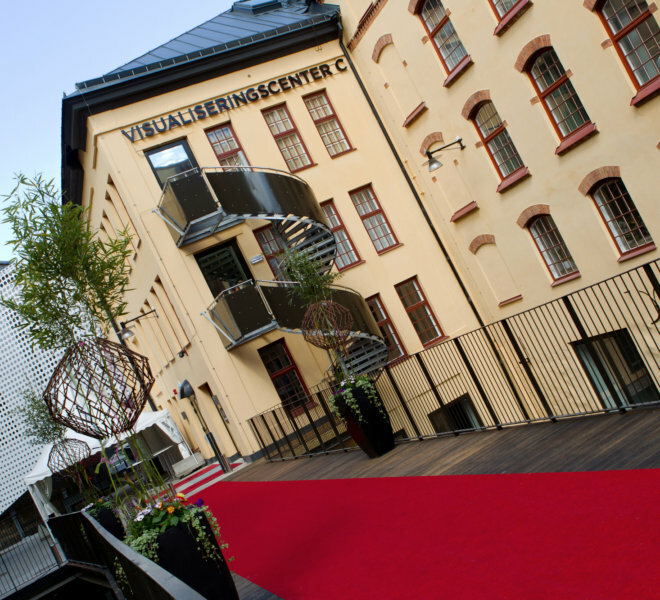 The VR-arena has for example been used as a decision arena for climate scientists and stakeholders, allowing for instant comparison of climate scenarios and effects. 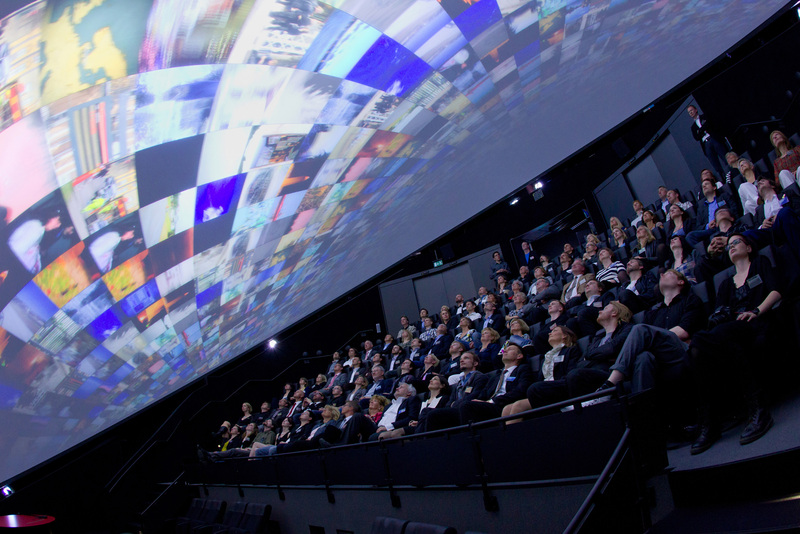 The VR-arena is also used for testing the different possibilities of collaborating and creating both personalized and collective immersive experiences at the same time using both the large screen and Head-Mounted displays.